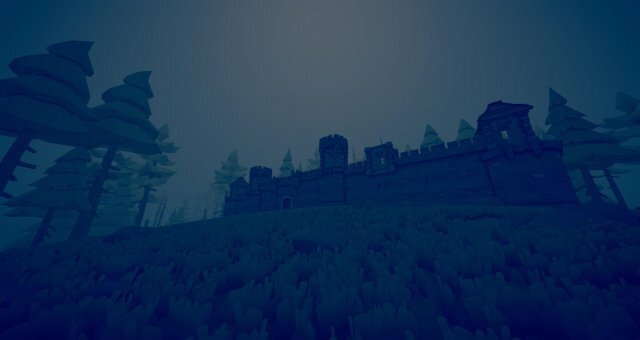 One-Handed Melee weapons are the most common weapons in TABG. 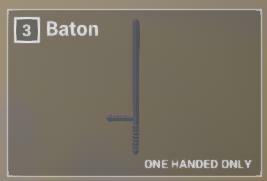 They range from Batons to Sabres, and I'll be identifying each one in detail. Hits to kill: 3 Hits to Limbs and Torso, or 1 Hit to the Head. The Pan has a slow swing-speed, and can be swung just over once per second (you may be able to swing it twice per second if you swing long enough). 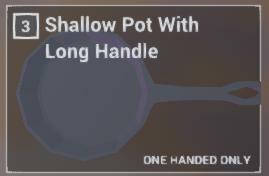 It's official name in-game is the "Shallow Pot with Long Handle". This is most likely a jab at PUBG Corp. for suing Tencent over the use of a Pan in their own Battle Royale game. Hits to kill: 5 to Limbs, 3 to Torso, 2 to Head. Hitting a successful headshot will knock down the target for 1 second, before they get back up. 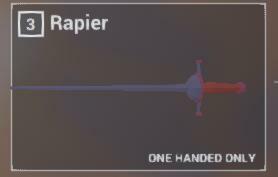 The Rapier has a fast swing speed, and can be swung 3 times per second. Hits to kill: 4 to Limbs, 3 to Torso, 2 to Head. 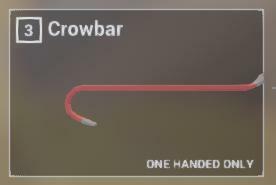 The Crowbar has a fast swing speed, and can be swung 3 times per second. The Sabre has a medium swing speed, and can be swung 2.5 times per second. 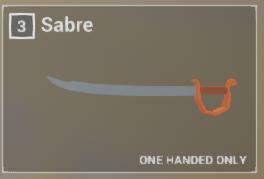 The Sabre's first swing will always be a downcut, making it incredibly easy to hit someone's head and knock them down. Keep this in mind and time your swings to maximize kills. No special effects occur upon headshotting an enemy. 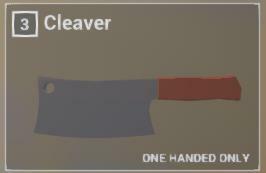 The Cleaver has a fast swing speed, and can be swung 3 times per second. 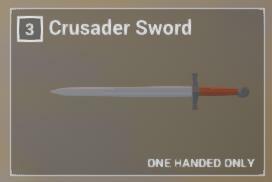 The Crusader Sword has a fast swing speed, and can be swung 3 times per second. Hits to kill: 6 to Limbs, 4 to Torso, 2 to Head. The Baton has a very fast swing speed, and can be swung 4 times per second. 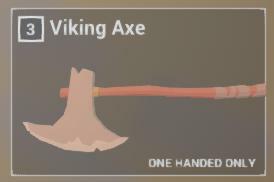 Hitting a successful headshot with the Viking Axe will knock down the target for 1 second, before they get back up. The Viking Axe has a medium swing speed, and can be swung 2.5 times per second. 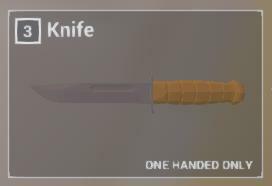 No special effects occur upon headshotting an enemy with the Knife. The Knife has a very fast swing speed, and can be swung 4 times per second.